Established in 1992, two friends with entrepreneurial spirits hoped to spread Light and encouragement in their little corner of the world. Thankfully, God has expanded their vision and Credo now ships products to bookstores, gift shops and retreat centers throughout the country. Credo Designs’ artist & owner, Marva Sheriff, spends the month of September every year creating at a log cabin in the woods in northern Minnesota. There she finds an abundance of inspiration as she enjoys time soaking up the beauty of God’s creation! 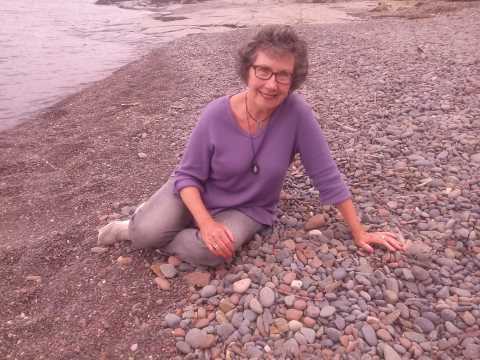 You can also find her each season along the shores of Lake Superior gathering smooth rocks and enjoying the peace of the Lake. As an artist, she believes taking time to “slow down” in this fast paced world is her primary job. The creative process begins only after she takes time to “be still”, observe, listen and pray. Life is full of ups and downs, joys and sorrows and unexpected surprises. 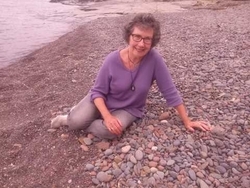 Along the way, Marva enjoys responding creatively to the everyday life experiences of her life with family and friends. Through her simple watercolor images, calligraphic lines and softly stated messages, she hopes to celebrate, uplift and encourage others. It brings her great joy to see you respond to her work by sharing it with the special people in YOUR life!